A flare-up of chronic obstructive pulmonary disease: do I need antibiotics? 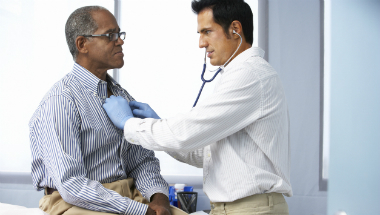 Chronic obstructive pulmonary disease, or COPD, is a lung condition. People with COPD are short of breath and often have a persistent cough that brings up mucus (phlegm). It’s fairly common for symptoms of COPD to suddenly get worse than usual – this is called an exacerbation or a flare-up. Antibiotics do not always help a flare-up because it may not be caused by a bacterial infection. Other common causes include viral infections, such as colds and flu, and air pollution – none of these improve with antibiotics. Using antibiotics when they are not needed means they may not work as well in the future. This is a serious health risk. If you don’t need antibiotics your doctor should explain why, and tell you what to do if your symptoms don’t improve after an agreed time, or they get worse. You will be prescribed antibiotics if you need them. If you are offered antibiotics, your doctor should explain that they can cause side effects, such as diarrhoea and nausea (feeling sick). You should see your doctor if your symptoms get worse or you feel extremely unwell at any time after you start antibiotics. Your doctor may refer you to hospital or to a specialist if your symptoms don’t get any better after antibiotics, or you have signs of a more serious illness.